Youth Tour teaches students of Michigan about their past—and helps equip them with the skills they need to be Michigan’s next generation of energy-minded leaders. This is a once-in-a-lifetime, all-expenses-paid leadership travel opportunity for high school sophomores and juniors (going into their junior or senior year this summer) and is sponsored by Michigan’s electric cooperatives. From the battlefields of Gettysburg to the halls of Congress in Washington, D.C., the program explores the leadership lessons of our nation’s history and will immerse students in the cooperative spirit. Youth Tour offers a unique opportunity to build leadership and public speaking skills, enhance students? knowledge of the cooperative form of business, and build life-long friendships with other student-leaders from across the country. 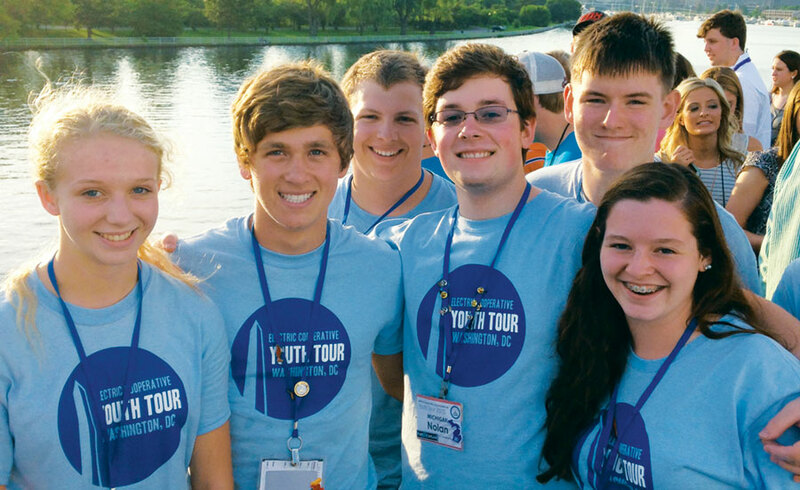 Youth Tour applications accepted between now and Feb. 28. The trip will take place June 10-15, 2018. Visit CooperativeYouthTour.com to learn more and for an online application.